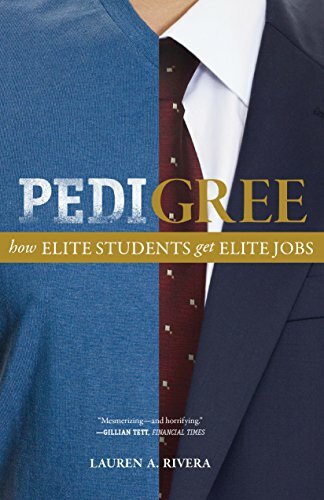 An academic exploration of how coveted legal, financial, and consulting jobs are filled, which is frustratingly unfair and tipped in favor of the wealthy. But every chapter offers lessons that any job seeker can benefit from. I reworked my resume because of this book. I interview candidates more thoughtfully now, too. Drawing on scores of in-depth interviews as well as firsthand observation of hiring practices at some of America’s most prestigious firms, Lauren Rivera shows how, at every step of the hiring process, the ways that employers define and evaluate merit are strongly skewed to favor job applicants from economically privileged backgrounds. She reveals how decision makers draw from ideas about talent―what it is, what best signals it, and who does (and does not) have it―that are deeply rooted in social class. Displaying the "right stuff" that elite employers are looking for entails considerable amounts of economic, social, and cultural resources on the part of the applicants and their parents.